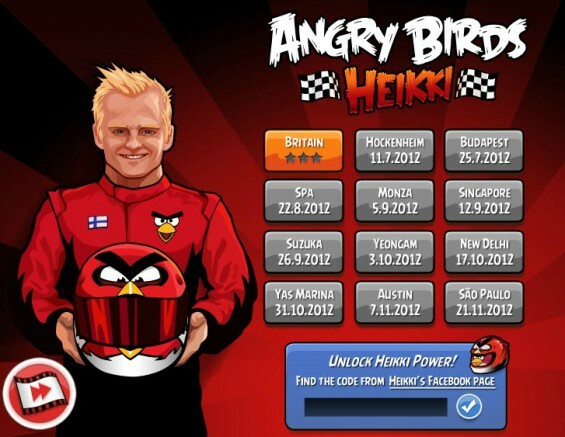 Play Angry Birds against Heikki Kovalainen for free! There have been some strange motorsport sponsorship deals over the years. Who’d have thought the clothing company Benetton would have a team, for example, and if I told you ten years ago that a soft drinks manufacturer would have a championship winning team, you’d have looked at me as if I had a red bird for a helmet. Funnily enough, that’s exactly what Finnish Caterham driver Heikki Kovalainen has been driving around in this season, because he’s being sponsored by Rovio, writers of the incredibly successful Angry Birds. 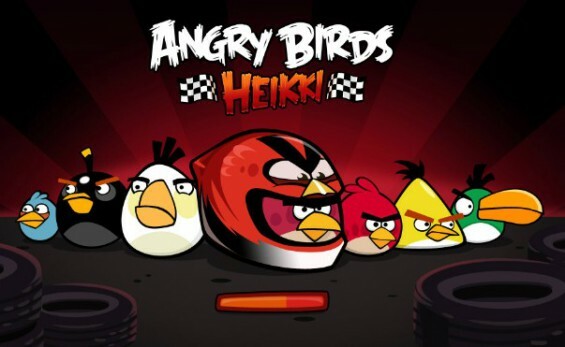 That sponsorship deal has given rise to the latest version of the game where you throw exploding avians at green pigs – Heikki Angry Birds. The premise of the game is the same as usual, except that the obstacles are designed to resemble formula 1 tracks, and the levels unlock as the season progresses around the world, starting now with the British Grand Prix at Silverstone. Heikki has personally played each level, so you can see if you can beat a genuine F1 driver’s score! The game is currently only available on line, but you can play it for free here.